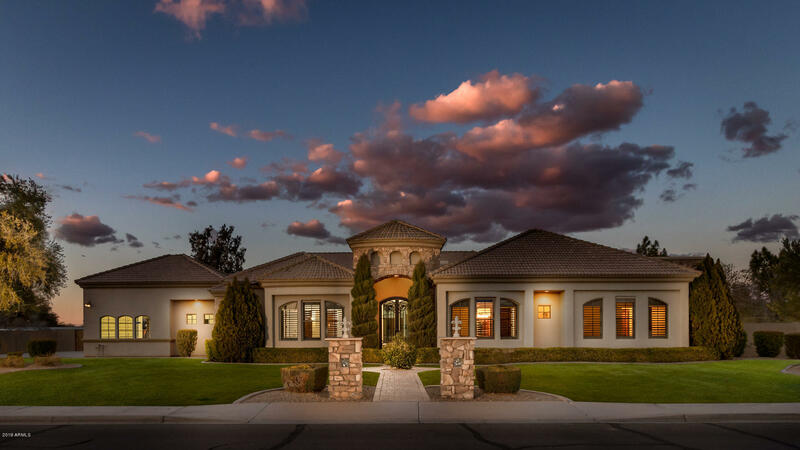 All GREENFIELD LAKES PARCEL 8 homes currently listed for sale in Gilbert as of 04/19/2019 are shown below. You can change the search criteria at any time by pressing the 'Change Search' button below. "Live like Royalty in this gorgeous Luxury Custom 5 bedroom bedroom, 5.5 bath home on an acre in Greenfield Lakes Golf Course, 8180 sq ft under-roof. Features: 10 ft Iron door, 14 ft high ceilings. Open floor plan, Retractable Glass wall opening into Atrium, Chef's Kitchen w/gas stove/grill , Dual Convection ovens, 10 ft Island, Dual sinks, Hardwood Cabinets and Doors thru out, Butlers Pantry, Theater, Game room w/wet bar, Formal dining, Travertine floors, Split Master Suite w/Jacuzzi Tub, Sho"